Surely McDonald’s was hoping its various PR nightmares would dissolve in 2015 — China’s meat-recycling scandal, Japan’s fry shortage, Russia’s food-quality crises, and America’s millennial ennui — but just one week into the New Year, the situation isn’t looking promising. 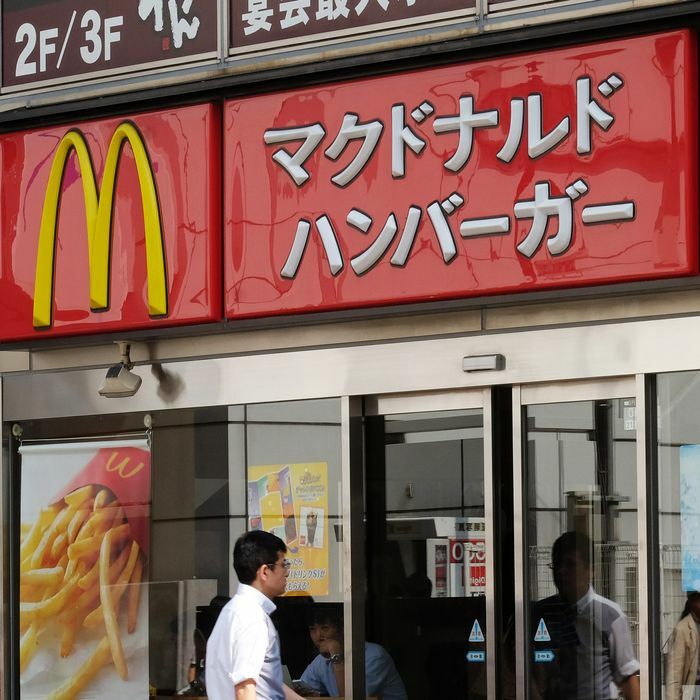 After yesterday’s news that a new French fry shortage had crippled Venezuela, forcing stores to deep-fry arepas, and reports from the day before that someone discovered a chunk of vinyl embedded in a McNugget, here’s today’s reminder of how much trouble the Golden Arches is having keeping it together: The Japanese arm of the company issued an apology yet again, this time after an investigation of a “foreign object” found in a customer’s fries last month definitively revealed that the item in question was a human tooth. McDonald’s hastened to add that, thankfully, employees at the Osaka store have all of their teeth — it’s probably good that someone checked? — and that the possibility of contamination or foodborne illness was very low, but still: a tooth. This is the stuff that very persistent urban legends are made of, which won’t help the bottom line at a company whose sales have been spiraling downward since last year, and so far 2015’s misadventures won’t do anything either for the fast-food chain’s renewed emphasis on “choosing lovin’” rather than hatin’ when it comes to their food.